We have a large choice of years on all the vehicles. The models shown are an example. You will be able to choose your year directly on the product datasheet. 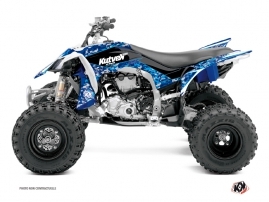 Kutvek Amerika specializes in the design of ATV graphics. Since our beginnings in 2005, we have emphasized creativity to be able to offer you a range of the most original stickers designed specifically to decorate your all terrain vehicle. We manufacture our ATV stickers with a patented material that ensures quality at every stage of the process. 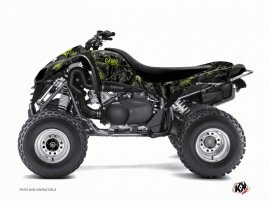 Your ATV decals come with everything you need to showcase each component of your machine: front fenders, rear fenders, front panel, side panels and fuel tank (as well as additional parts for some models). - Unparalleled ease of installation. The glue we use on our stickers allows you a few minutes to reposition them. 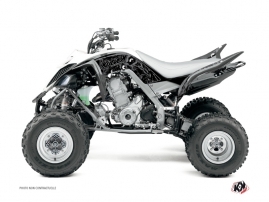 Once properly in place, applying heat ensures that the vinyl is perfectly molded to the contours of your ATV. - Colors retain their intensity for a long time thanks to our patented materials. - Our stickers are very resistant to the many constraints associated with the use of your vehicle on all kinds of terrain. 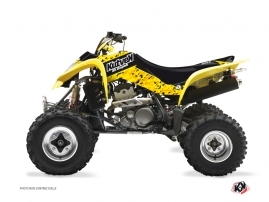 - The stickers provide reliable protection for ATV bodywork.